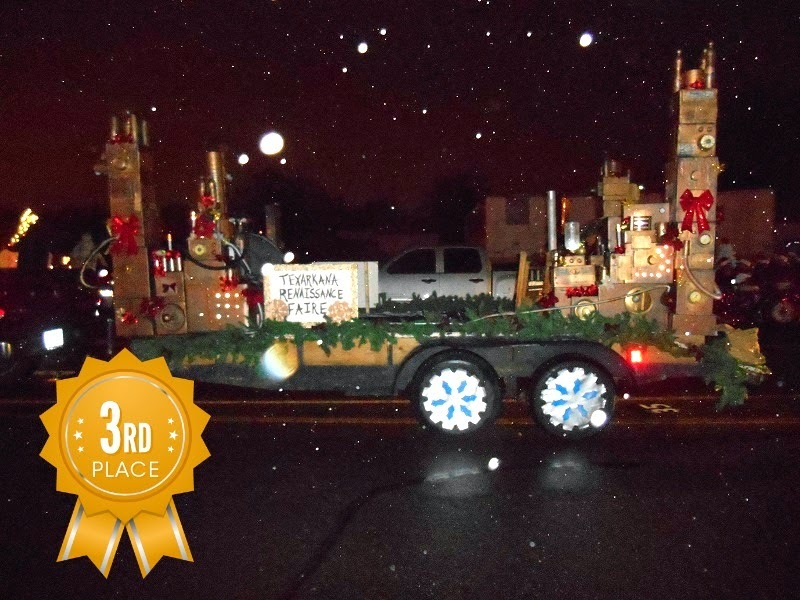 The cast and crew of the Texarkana Renaissance Faire took 3rd place in the 30th Annual Texarkana Christmas parade, December 1, 2014. 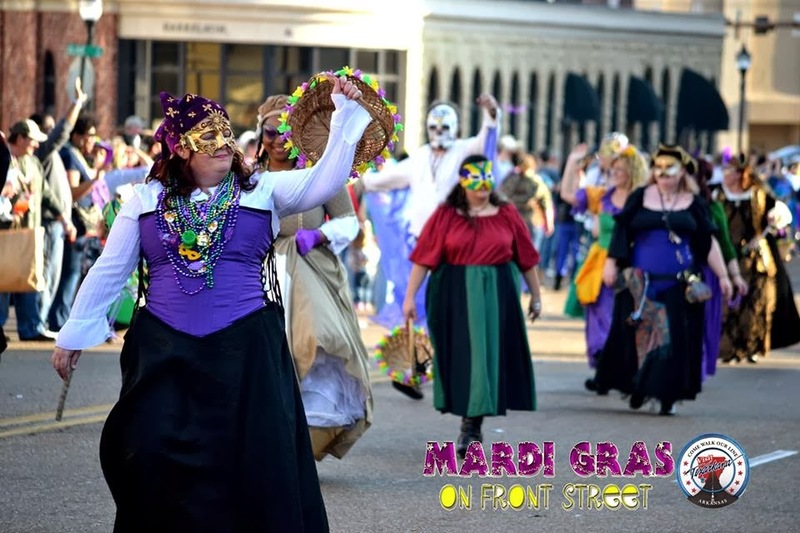 This year's parade was steampunk/upcycled themed. The weather was very chilly with a constant light mist but it was great fun! For more photos please visit our Facebook page. 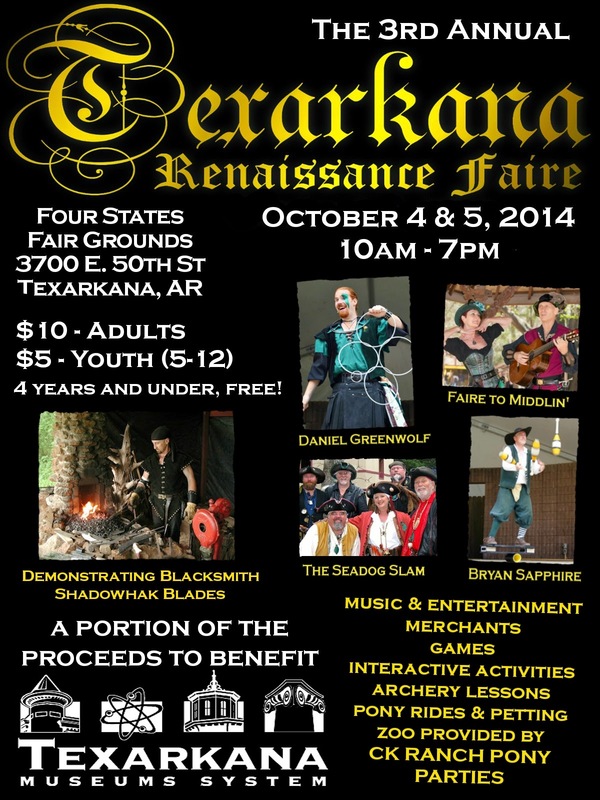 Discounted faire tickets are now available to purchase online. Act now! Sale ends September 30th! Great price, no processing fees! 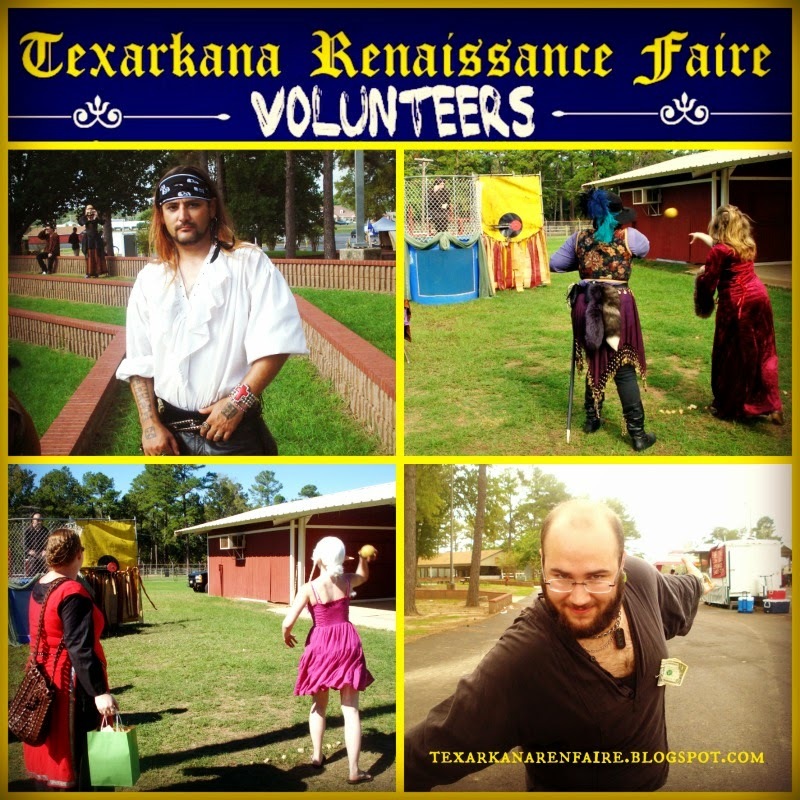 Have you ever wanted to work at a renaissance faire? Well, here's your chance! 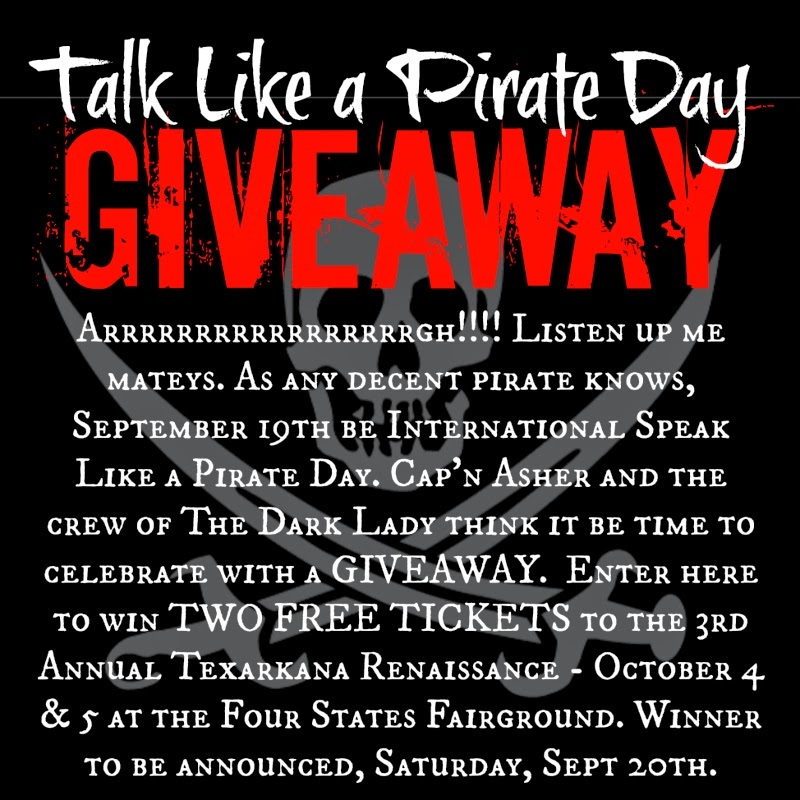 Talk Like a Pirate Day FREE TICKETS GIVEAWAY!! 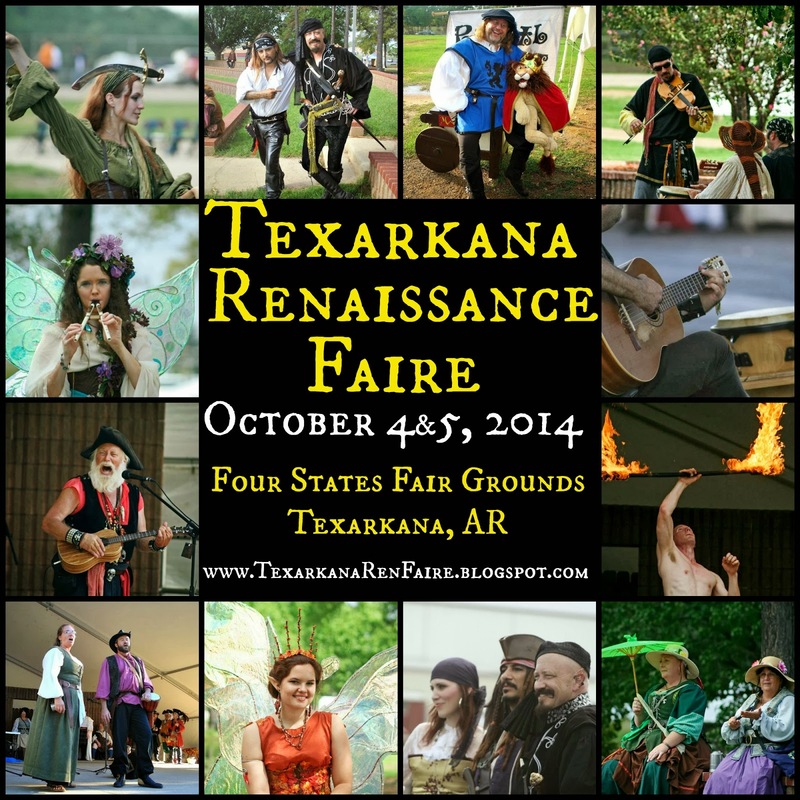 The third annual Texarkana Renaissance Faire will be held October 4 & 5, 2014 at the Four States Fair Grounds in Texarkana, AR. 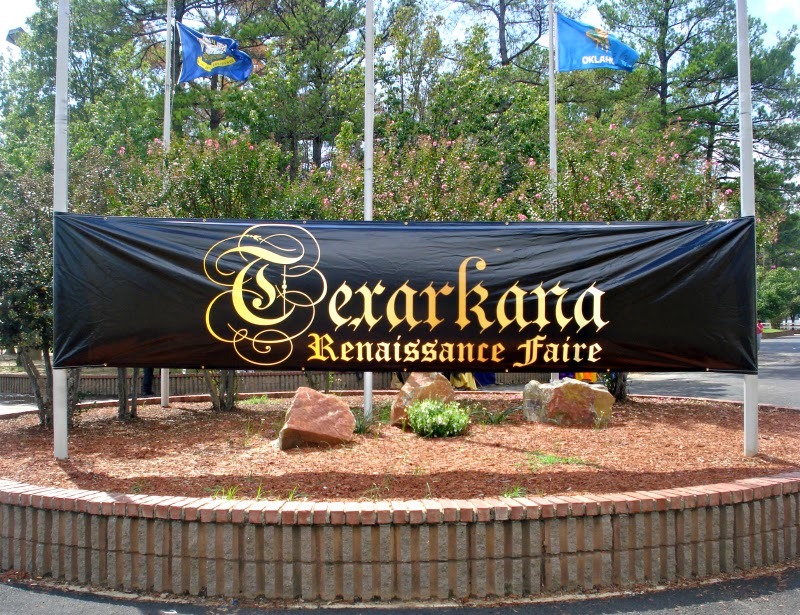 This year, our goal is to make the faire bigger and better by doubling the amount of merchants, food vendors, games and activities and entertainment. 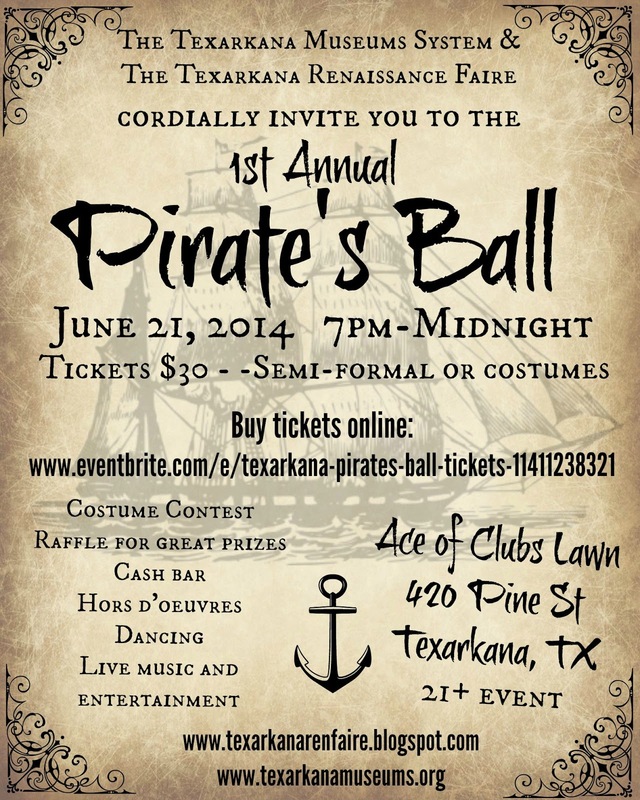 This year we a pleased to announce that a portion of our proceeds will be donated to the Texarkana Museums System. For more information about TMS please visit their website. 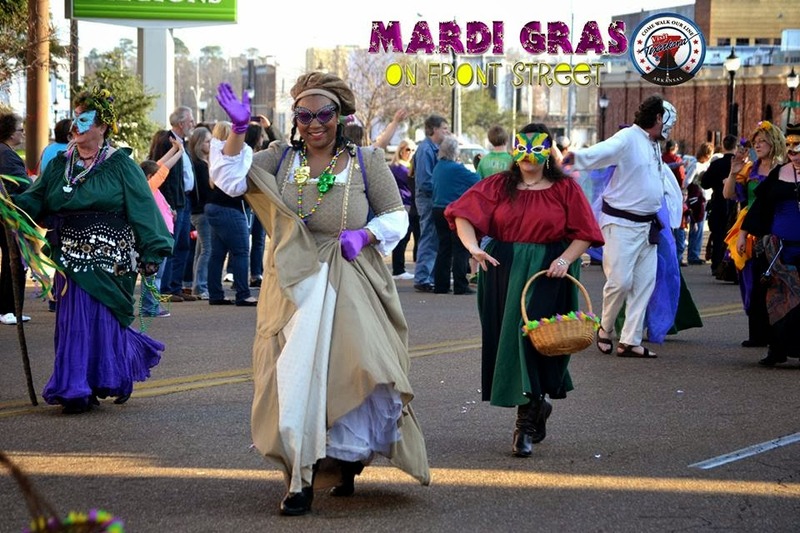 Your donations will fund: payment, lodging and other accommodations for entertainment and staff, decor, advertising and marketing, rental fees and the many other expenses necessary to ensure the improvement of the 2014 Faire. For more information please visit our GoFundMe page here or click the widget below. 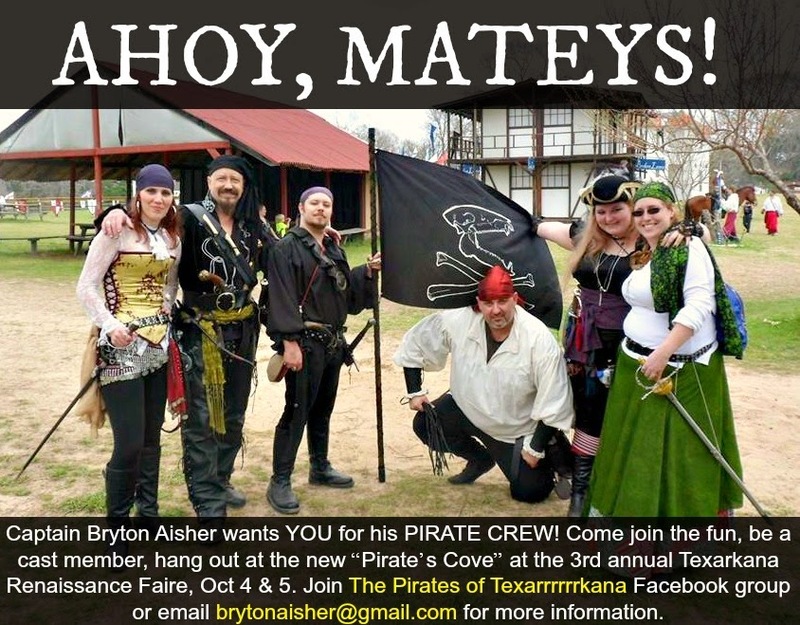 We're looking for gypsies for the 2014 faire! 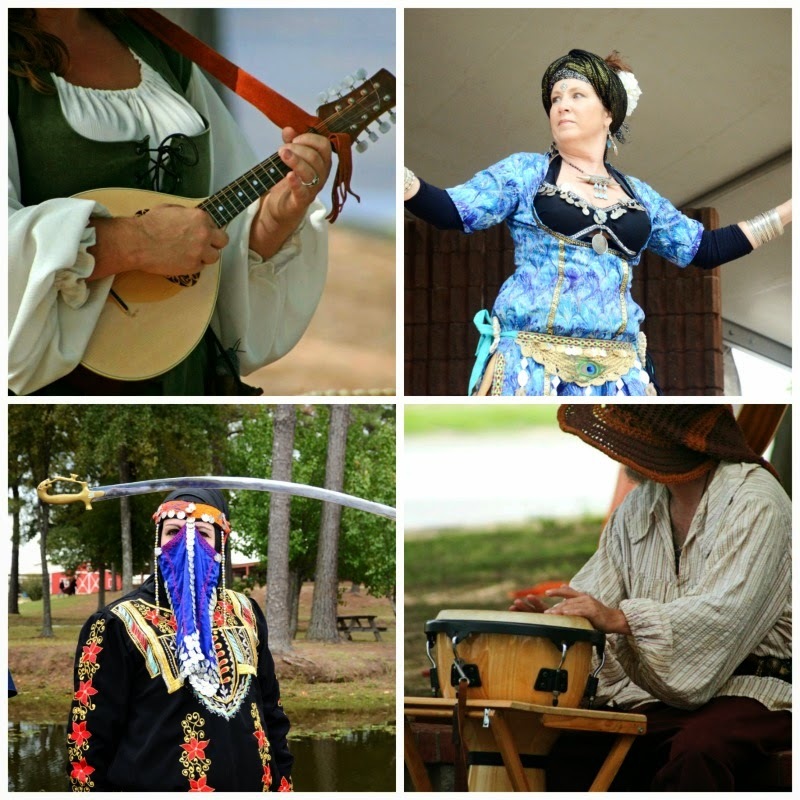 We're focusing on make our "gypsy camp" a major feature of the 2014 faire. 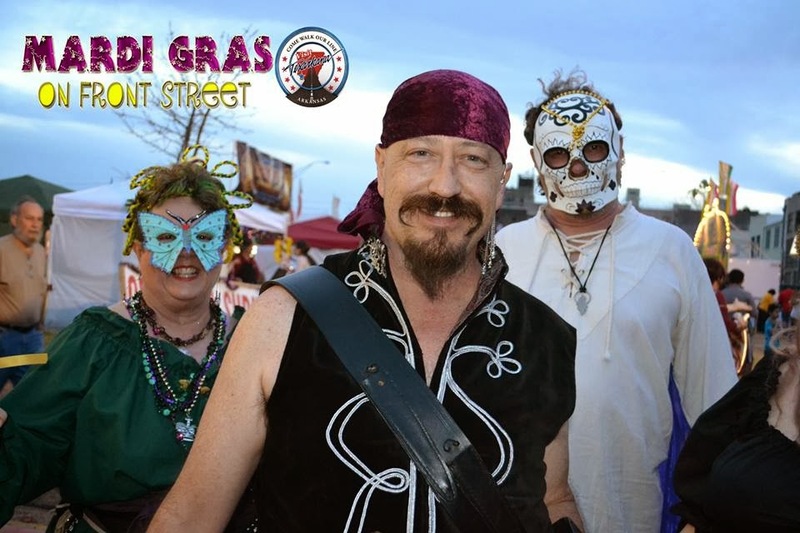 We're looking for dancers, hand percussionists and musicians of all sorts. No special skills? No problem! Contact us to see how you can still be a part of this special opportunity! For more information please join our Facebook group page: "Texarkana Ren Faire Gypsy Camp"
There, you can ask questions, share ideas and get important updates and information about the upcoming faire. 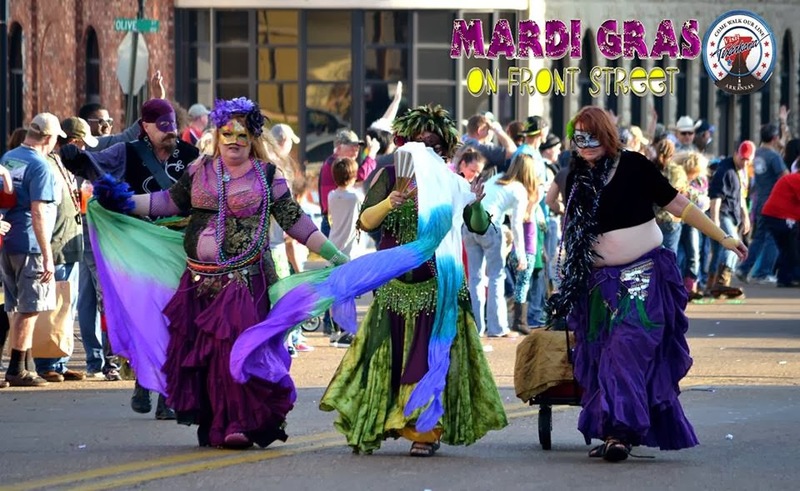 No experience required but you must have your own costuming. Not on Facebook? 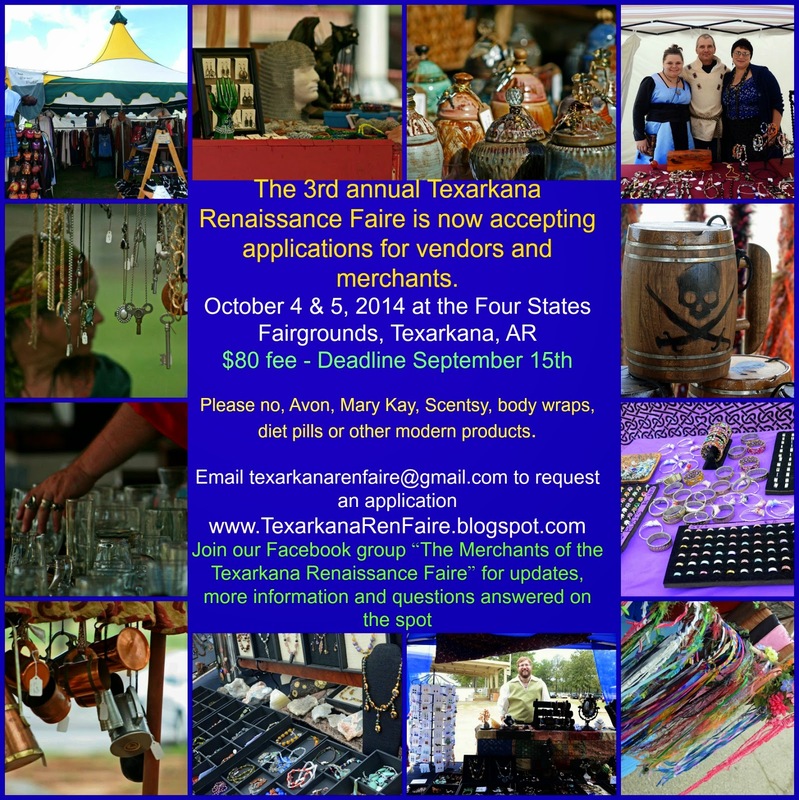 Please email us at texarkanarenfaire@gmail.com for more information. 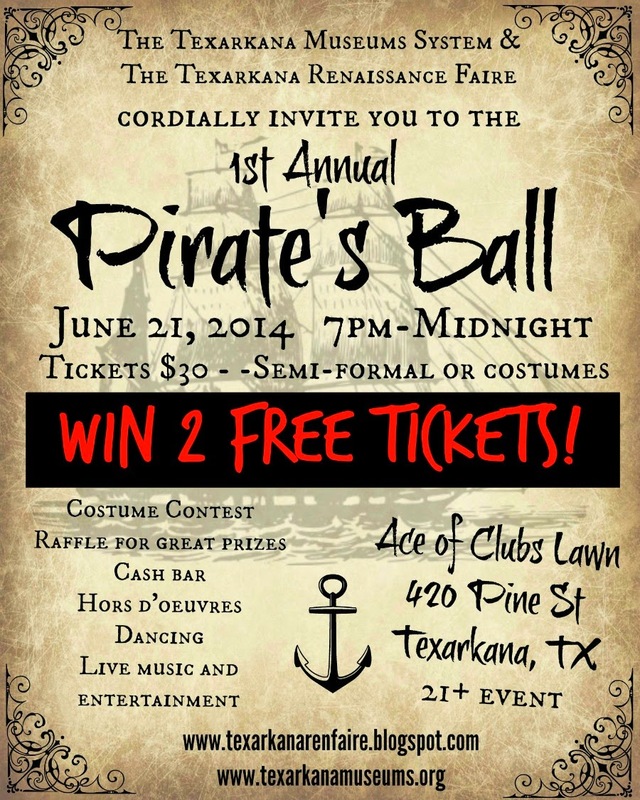 Win 2 tickets to the 1st Annual Texarkana Pirate's Ball! 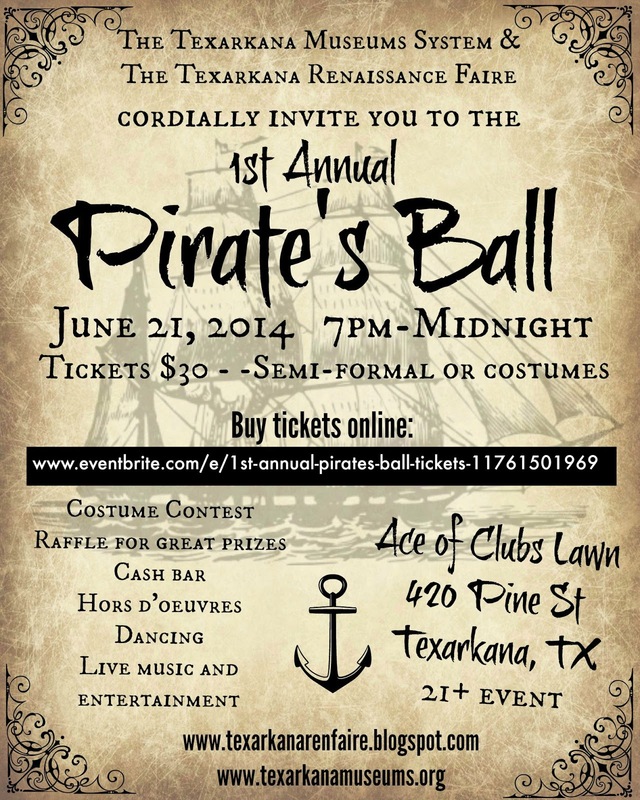 For more information about the ball, please visit our Facebook event page. Win a pair of handmade leather bracers! 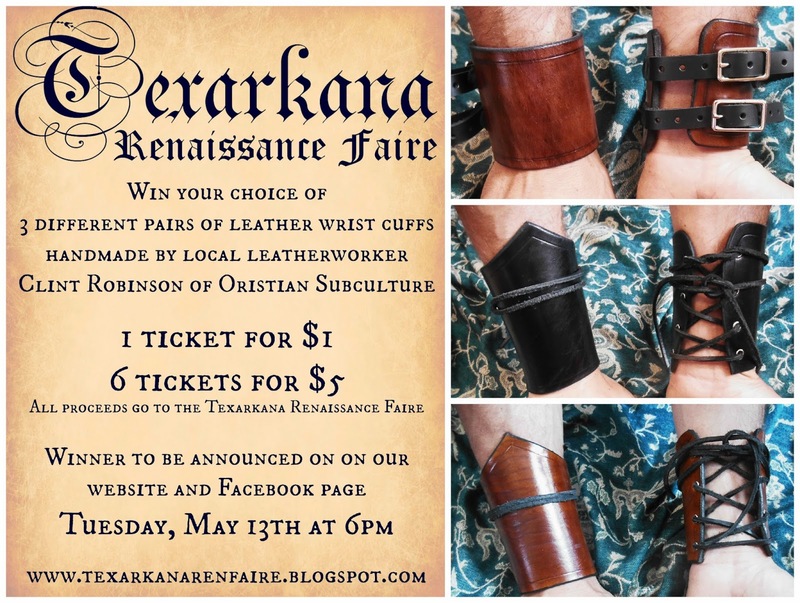 The staff of the Texarkana Renaissance Faire will be at Railfest this Saturday (5/10) from 10am-6pm raffling off a pair of these awesome handmade leather bracers! 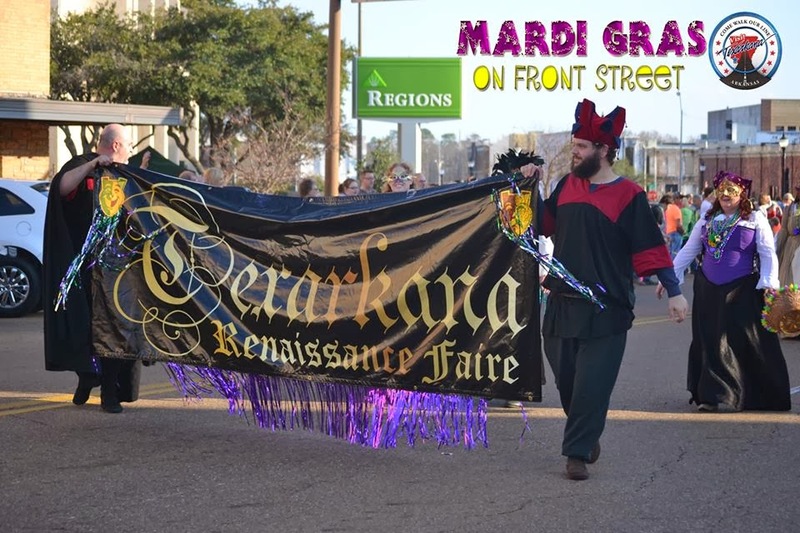 Gorgeous photos of the cast and crew marching in the 2nd annual Texarkana Mardi Gras parade, March 1st.